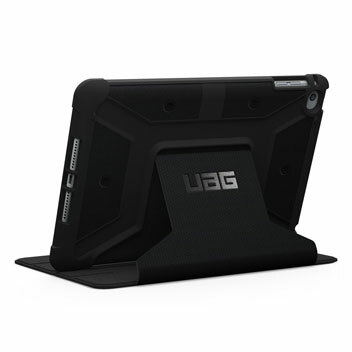 The UAG Scout Rugged Folio Case in black keeps your iPad Mini 4 protected with a lightweight, but highly protective honeycomb composite interior, with a tougher outer case, ensuring the perfect combination of style and security. 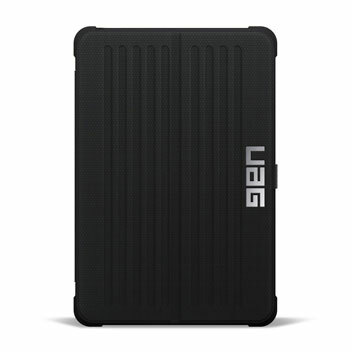 UAG excellent. 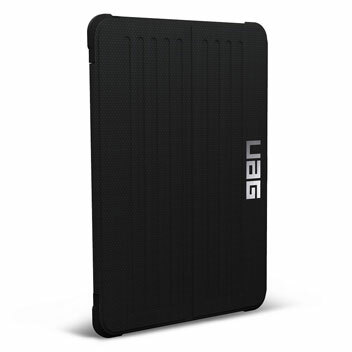 Very very good protection. 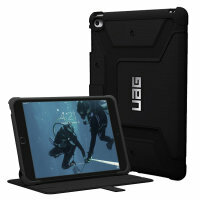 Mobilefun 5 stars! The new Scout folio rugged case by UAG features an impact-resistant soft core and a water-resistant soft grip material with a feather-light construction, keeping your iPad Mini 4 looking and feeling brand new. 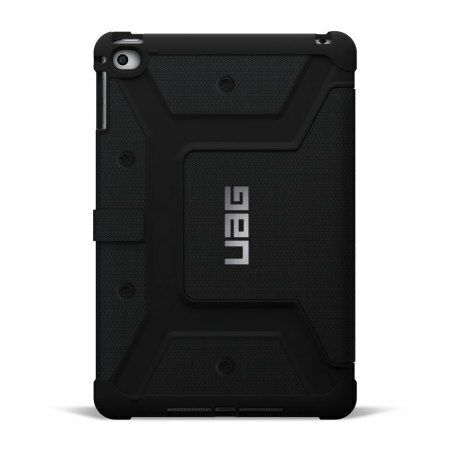 The UAG rugged case provides full functionality via special cut-outs for port's features. 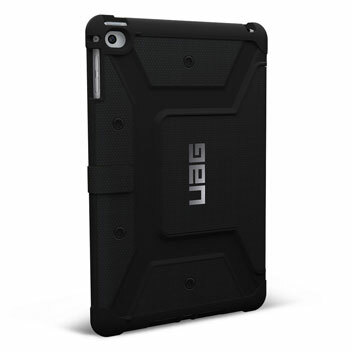 This includes a cut-out for the rear camera and flash, so you can enjoy taking pictures on your latest adventure. Volume controls are protected by heavy duty TPU buttons that are easy to operate even if you're wearing gloves. 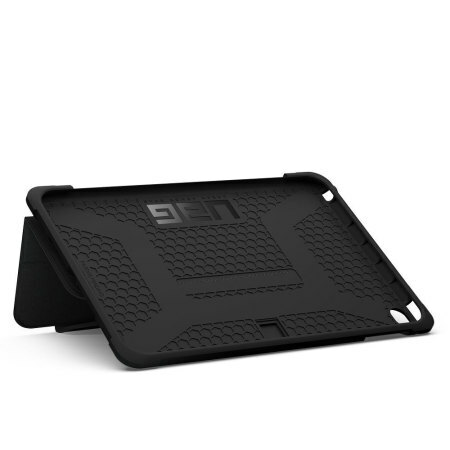 With the over-sized buttons provided in the correct places suited to the phone, you can be sure to have complete ease of use of your device while it is in the case. 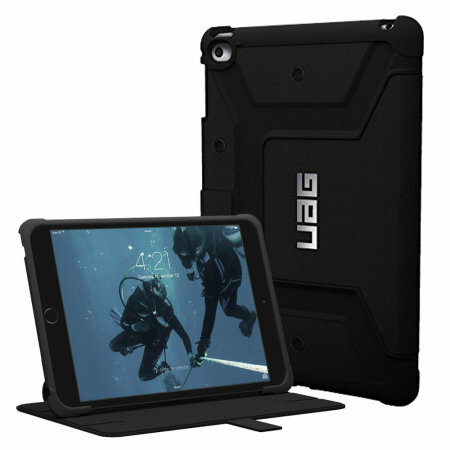 The Scout case allows you position your iPad Mini 4 in a comfortable and ergonomic way when viewing media on the go or at home. 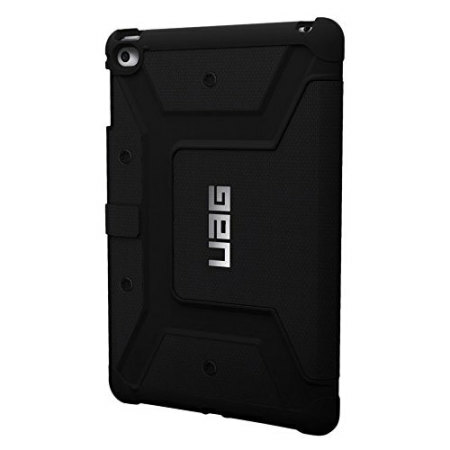 The Scout folio rugged case by UAG has all the functionality of a Smart Cover while still giving you high grade protection. The Scout case works with the iPad Mini 4's sleep/wake function, so your iPad Mini 4 is always ready when you are. The bezel around the camera lens eliminates most of the picture washout due to flash interference, so you can capture those memories with ease.